Policy Statement: It is the policy of Blendon Township to assist the residents with the improvement of gravel roads within the Townships boundaries. The Township has established a Road Fund to receive revenue and distribute funds to finance the cost of the construction and paving of our roads. The public roads within Blendon Township, as well as all other roads in Ottawa County that lie outside of city boundaries, are under the authority of the Ottawa County Road Commission. Under Michigan law the Ottawa County Road Commission is responsible for the construction and maintenance of these public roads. There are four general categories of public roads within Ottawa County that are under the authority and stewardship of the Road Commission. 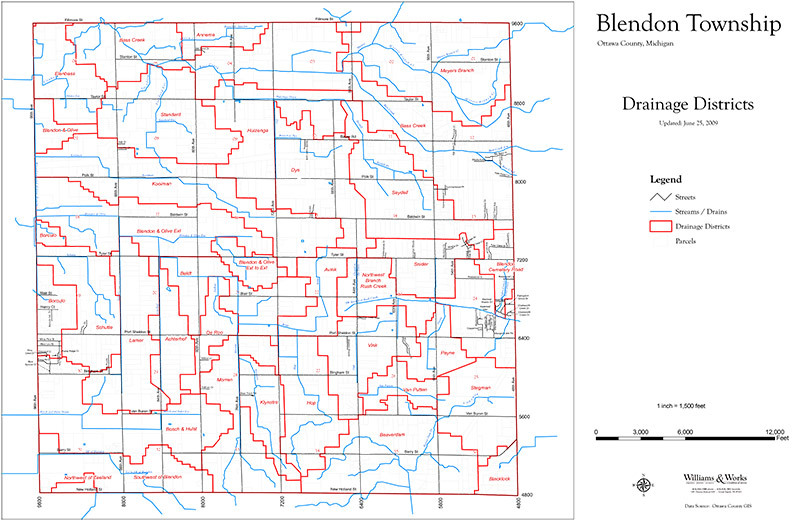 These are county primary roads, local roads and subdivision streets. Primary roads are major arterial roads that are used by a large number of the motoring public from various parts of the county and state. In Blendon Township the Primary Roads are 96th Avenue, 48th Avenue, 72nd Avenue, Port Sheldon Road, Fillmore Street, Bauer Road form 48th Avenue to 72nd Avenue and Taylor Street from 96th Avenue to 72nd Avenue. The local roads within Blendon Township are those roads that are used mostly by the residents of the township and those that bring services to them. These roads are the remaining paved and gravel roads that lie on section lines and half section or quarter section lines of the township. Subdivision streets are neighborhood streets that have been constructed by a developer to the standards required by the Ottawa County Road Commission and subsequently accepted by the Road Commission into the county network of roads. The availability of funding for the maintenance and construction of these public roads is the determining factor for the prioritization of road projects. 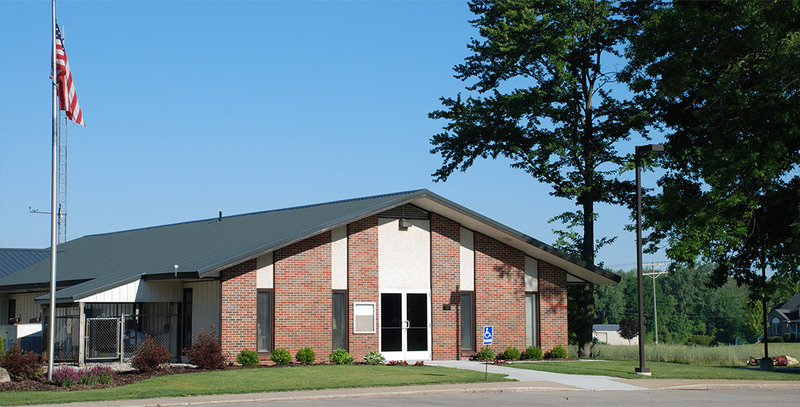 The Ottawa County Road Commission receives a portion of the revenue that the state of Michigan collects from the tax on motor vehicle fuel and vehicle registration fees. The revenue collected from these sources by the state of Michigan is held in the Michigan Transportation Fund (MTF). The Michigan Transportation Fund dollars are required by law to be applied to the maintenance and construction of county primary roads and these funds may be used for local road construction only when matched by another source such as county funds or funds from special millages and/or funds from property owners in a special assessment district. The Ottawa County Road Commission receives MTF dollars based on the number of vehicle registrations within the county that are not addressed to an owner residing within the limits of a city or village. The amount of revenue received by the Ottawa County Road Commission from the MTF is not sufficient to provide for the construction of local roads or the maintenance of subdivision streets. The Ottawa County Road Commission will reconstruct and pave local roads if the townships provide funding from a millage levy or from special assessment districts. Although Blendon Township in the past has had a special millage for the financing of local road reconstruction and paving, currently a majority of the electorate of Blendon Township has not approved a special millage to provide revenue to fund local road construction. The Blendon Township Board has established a policy to finance local road construction from funds received by special assessments on real property within an area benefitted by the construction project. 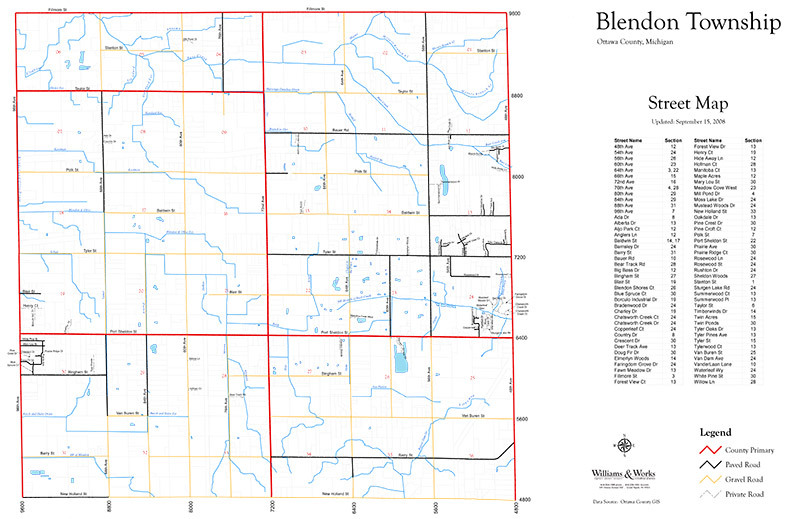 The Blendon Township Board provides dust control maintenance funding for the 53 miles of unpaved county local roads within Blendon Township. This dust control process is done by a private contractor with the permission and cooperation of the Ottawa County Road Commission. Dust control funding is provided from the township general fund.